At Planet Ink Club we believe everyone has an active role to play in helping and protecting the environment. 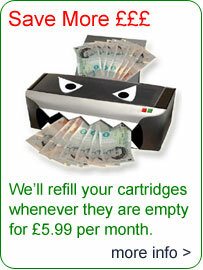 Our aim, with your help is to recycle as many inkjet cartridges as possible, this simple action will make a difference! 375 Million inkjet cartidges are dumped into landfill sites each year. 95ml of oil is used to produce each inkjet cartridge. 95% of cartridges are NOT recycled. 100 Million Litres of oil has been saved by inkjet recycling in the last year. 1000 years or more is how long it takes for the plastic in an inkjet cartridge to de-compose.